Rommie searches for Deep Midnight’s Voice, and finds it on a distant planet populated by people at a technological level not unlike early 21st century humanity (as in, us right now). 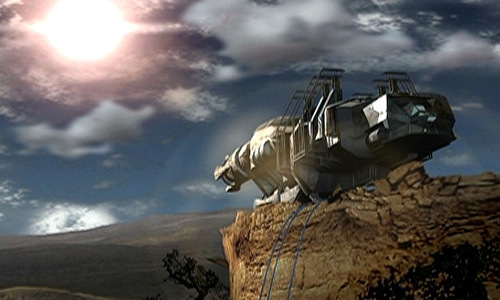 The Eureka Maru sets down in a forest; Hunt, Beka, Tyr, and Gaiton fan out to search for the slipscout. Friendly hikers named Henry and Tori run into Hunt and Beka, and take them to their observatory. Hunt and Beka dodge the usual “where are you from?” questions with the typical “oh, out of town, the north, etc.” but Hunt’s noisy space beeper gives him away. The mean guy who owns the observatory calls for some soldiers to arrest Hunt and Beka for questioning, but they escape with Tori. Nearby, Tyr and Gaiton kill some Dragans, then find the slipscout. They start chatting about Nietzschean stuff, with Gaiton being all like “hey, let’s be buddies.” Tyr doesn’t trust Gaiton and kills him. At the end of the episode, Hunt bids farewell to Tori and gives her an Andromeda iPad as a parting gift: “I’m not familiar with this technology,” she says. “Get familiar. You just invented it.” Say what? I was actually looking forward to this episode after I read the description. I’m a sucker for episodes of sci-fi shows that involve characters visiting modern day Earth, getting confused and bumbling around, with plenty of fish out of water comedy. While I was hoping for something fun like Star Trek IV, we ended up with something more along the lines of TNG’s First Contact (the episode, not the film). We got a story about…well, first contact with aliens and the dangers of not screwing it up, while also dealing with xenophobic people not ready to join the stellar community. But in true Andromeda fashion, it wasn’t done quite well. 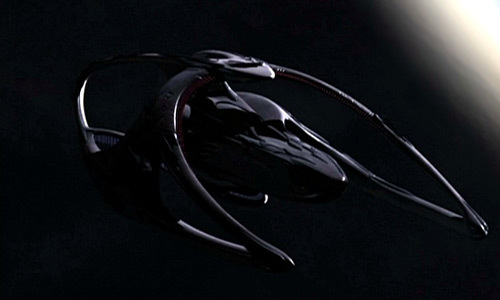 For one, it took a long time (nearly half the episode) for Andromeda to even get to the planet. The first contact storyline was only superficially explored, and the alien world was barely fleshed out – hell, they all looked human and even had human names. Total lack of effort there. The whole thing just seemed to be yet another excuse to hook Captain Hunt up with the attractive guest star.